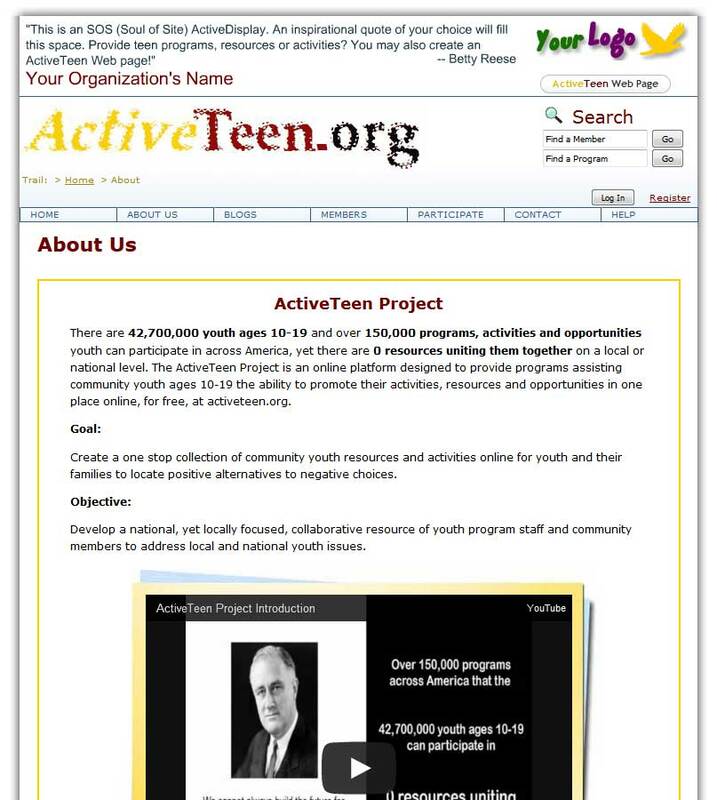 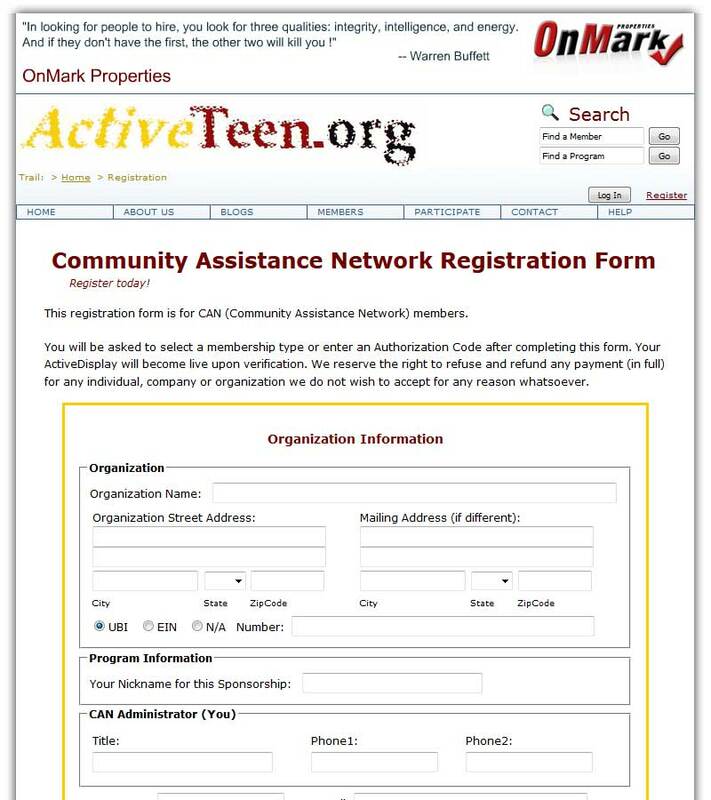 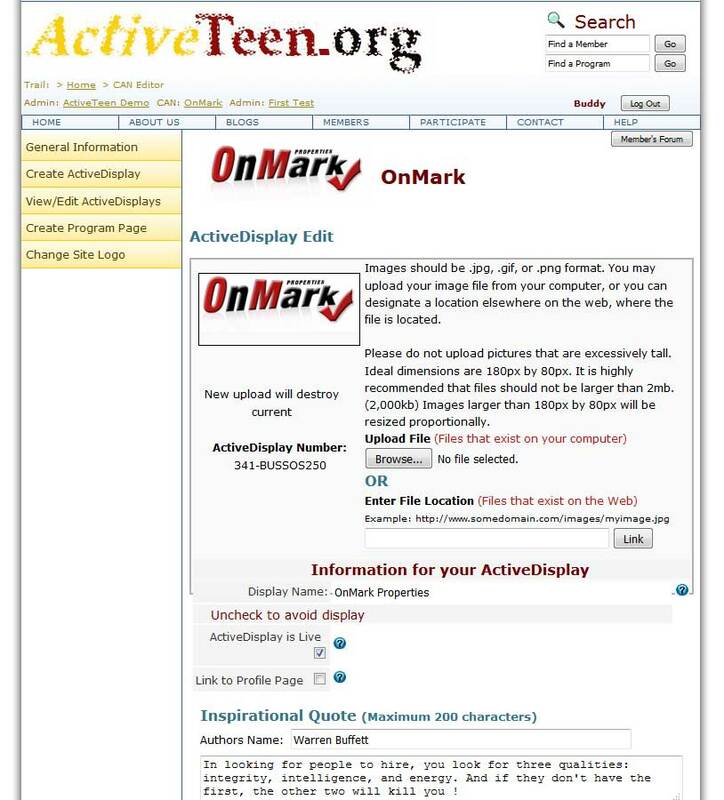 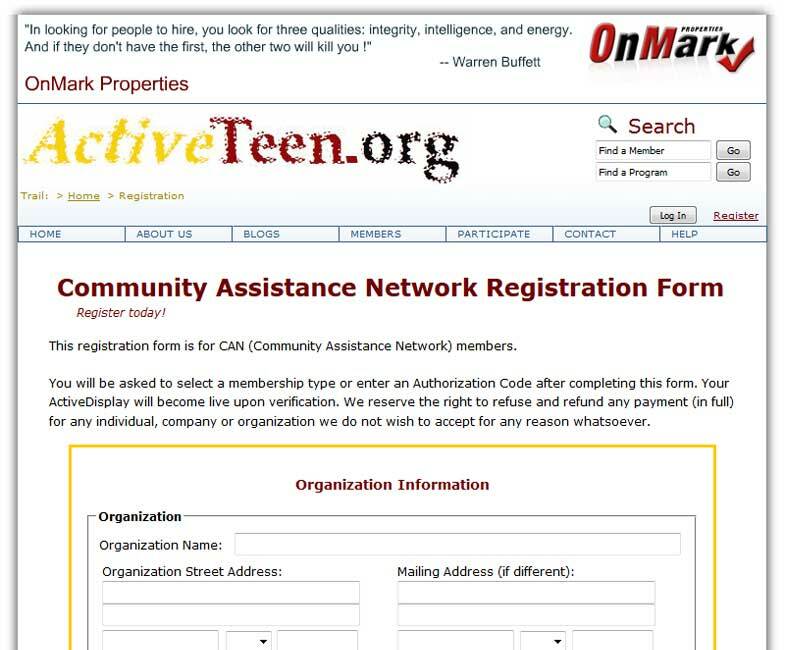 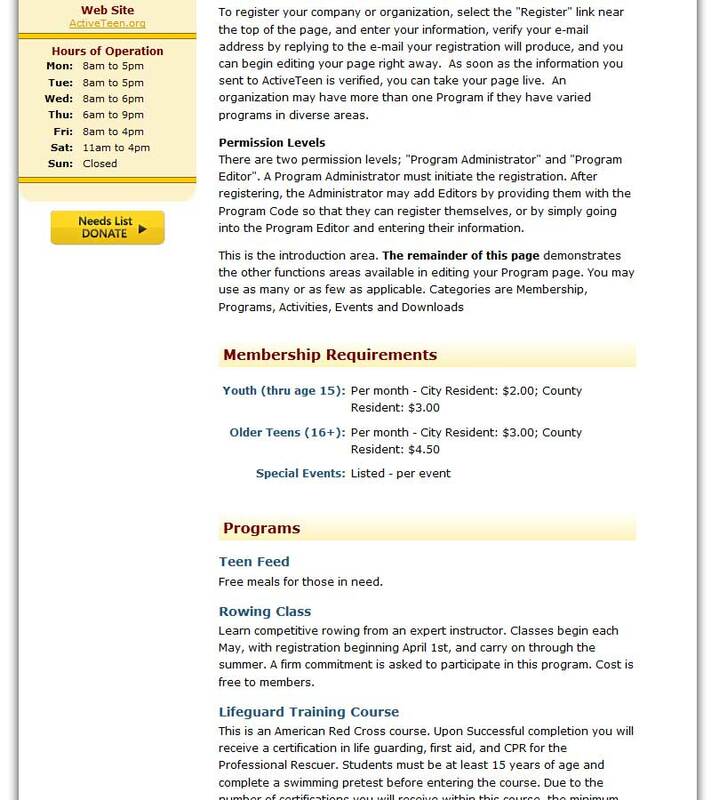 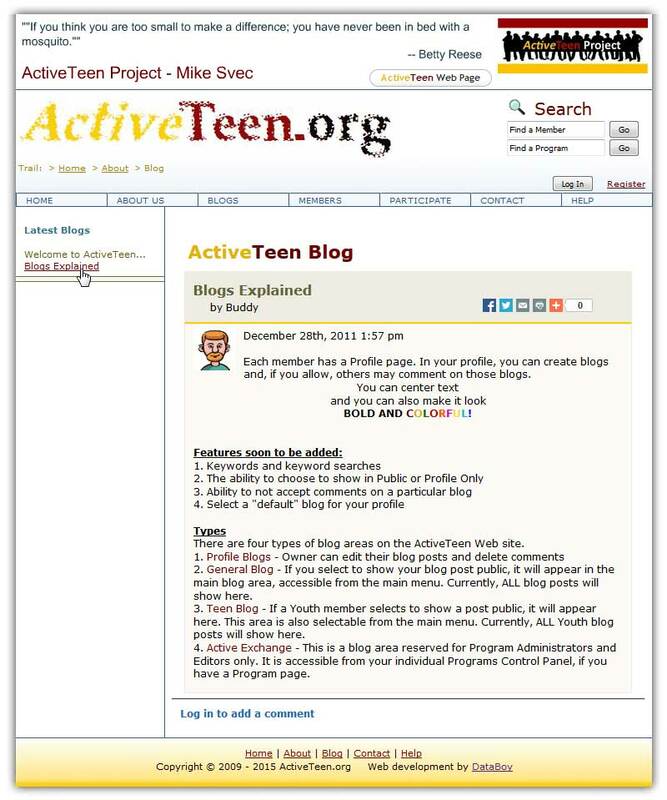 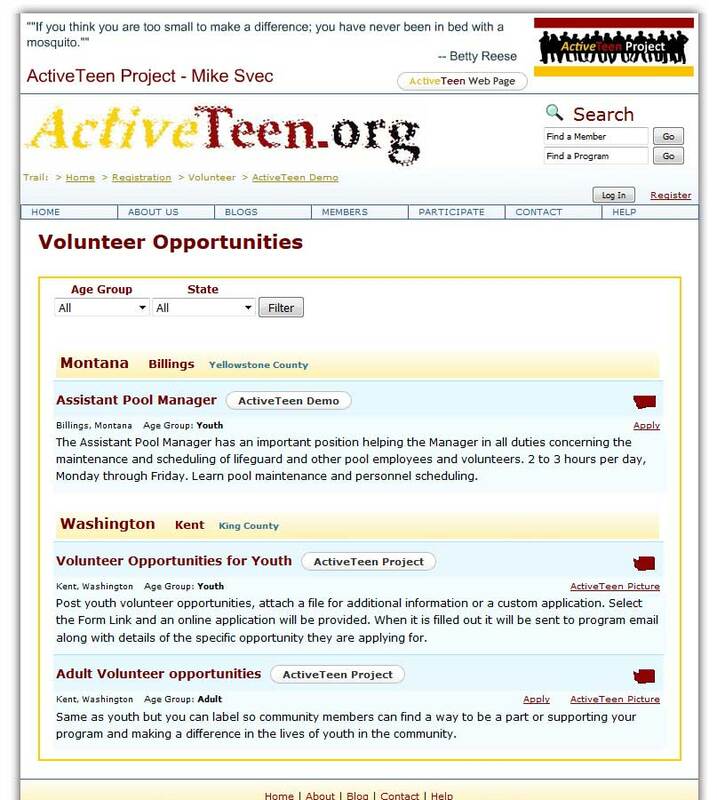 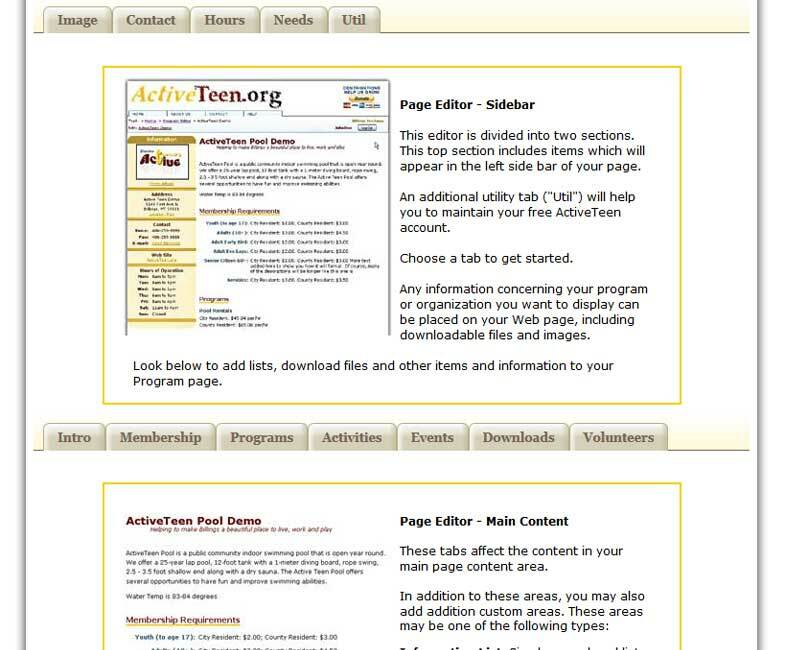 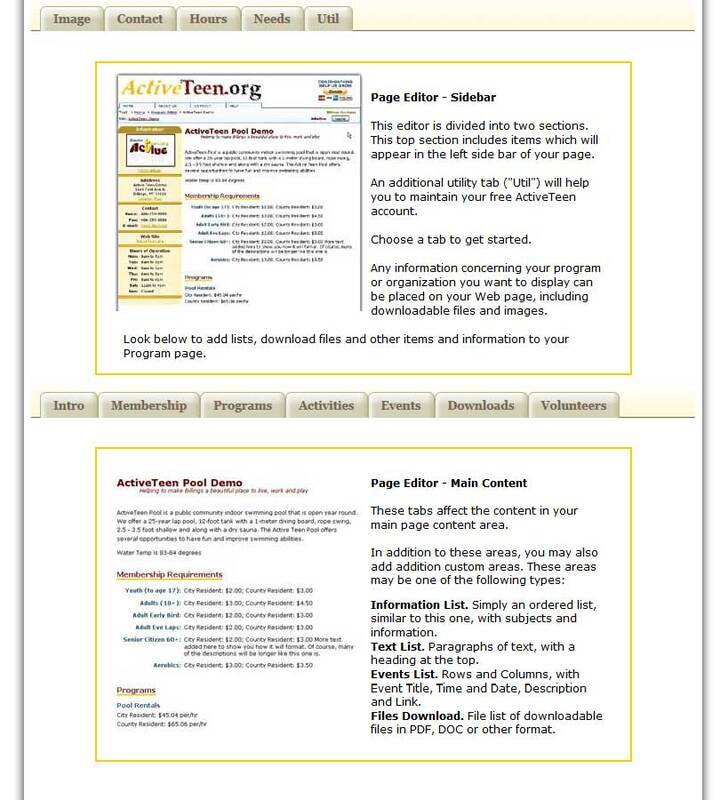 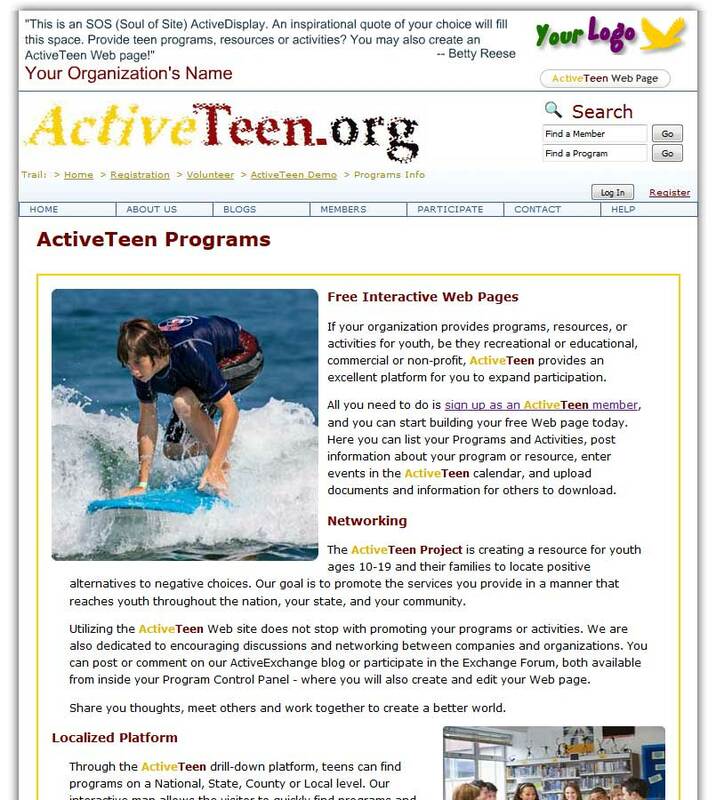 The goal of ActiveTeen.org is to provide a reference for teens to find activities geared to their interests on a national, state, county and city level. 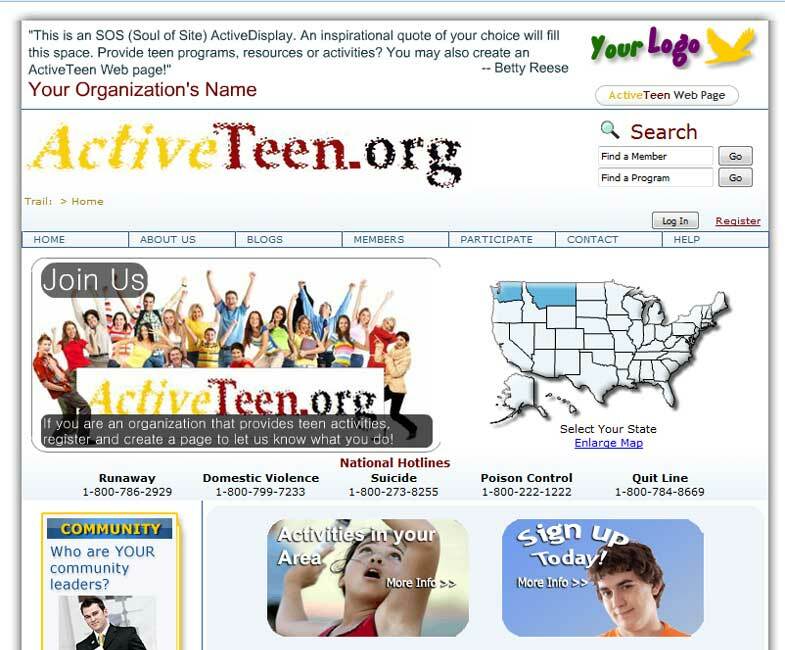 This is an interactive Web site, where organizations may sign up and create their own pages through a very versatile control panel. 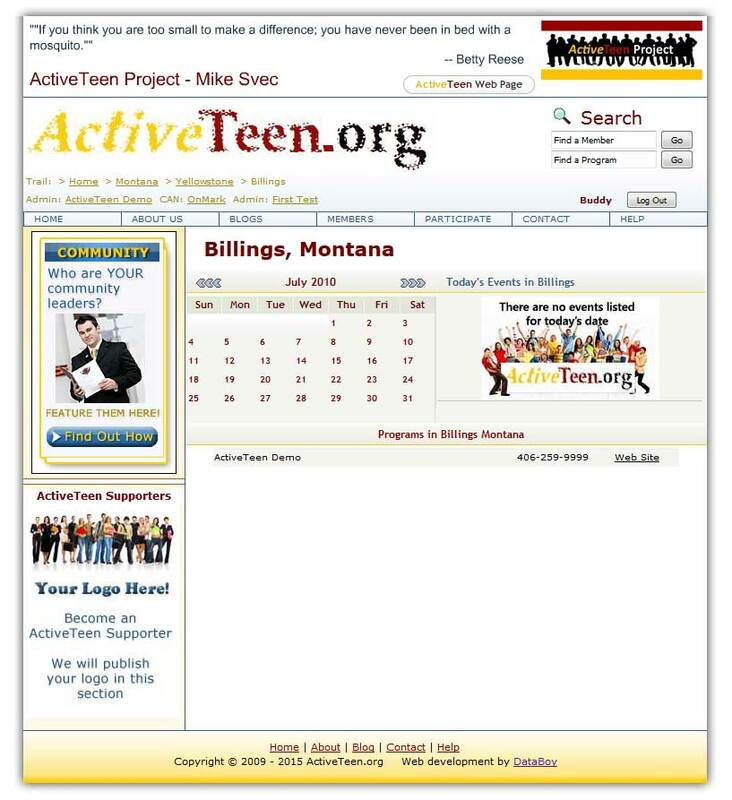 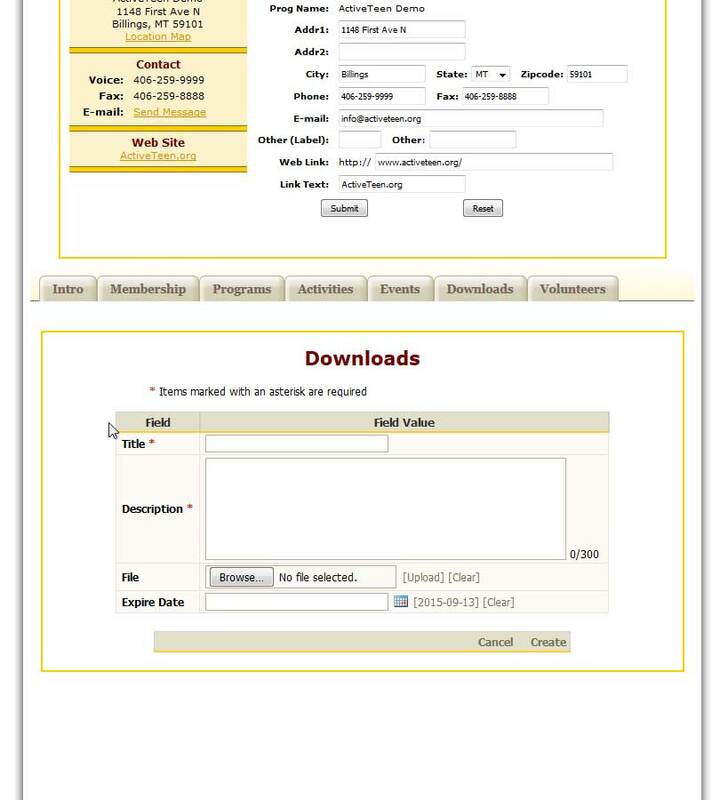 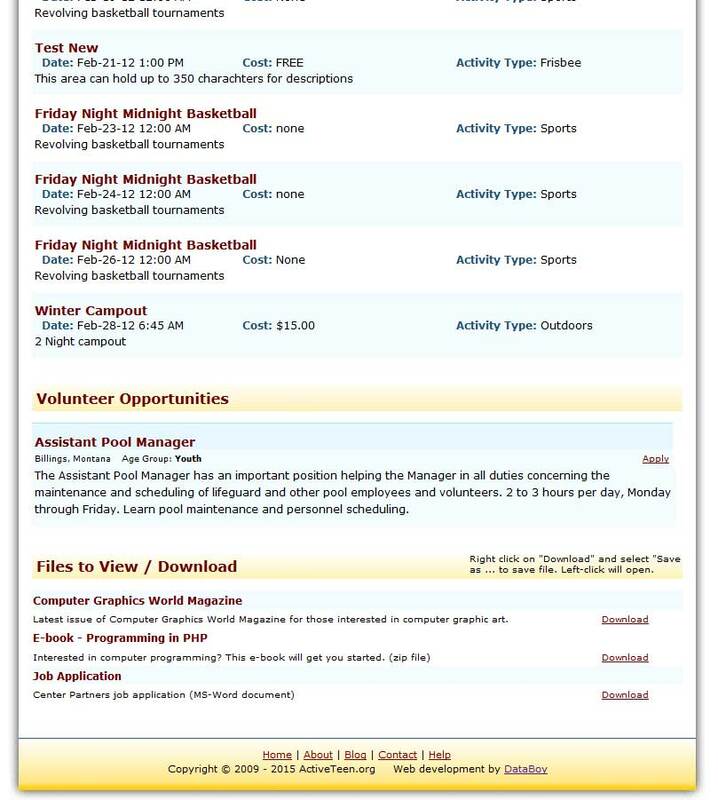 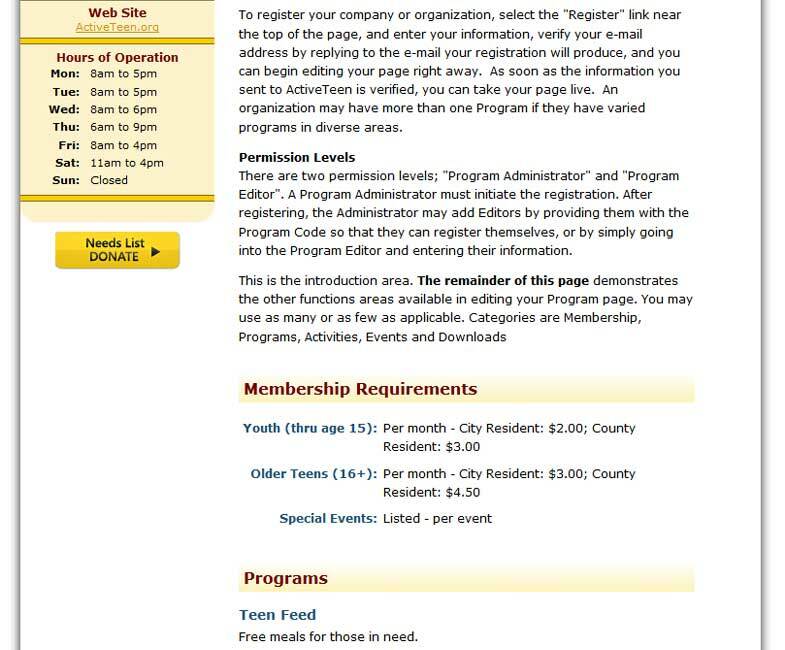 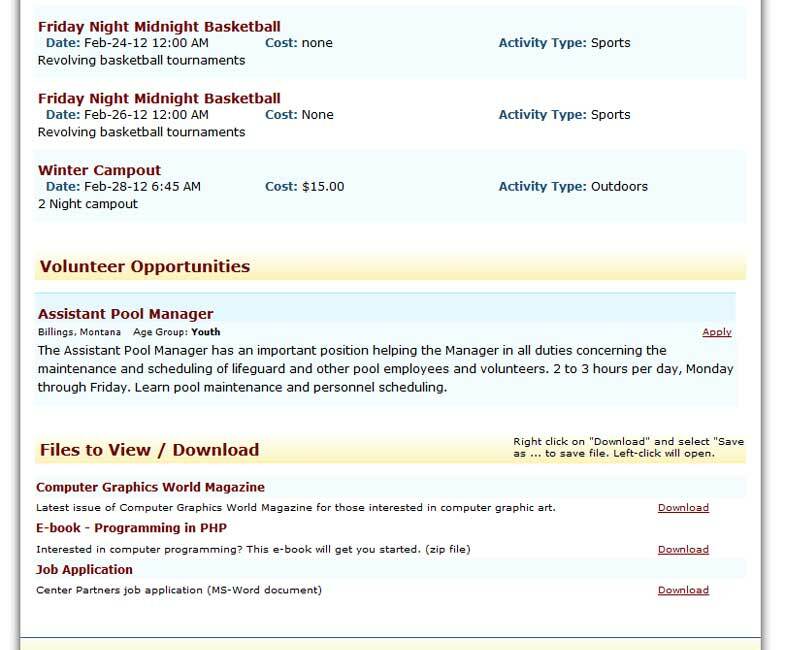 Youth organizations have the ability to assign privilege levels to their staff for editing and/or updating these pages, which may contain information, calendars of events, photographs and graphics and files for teens or parents to download. 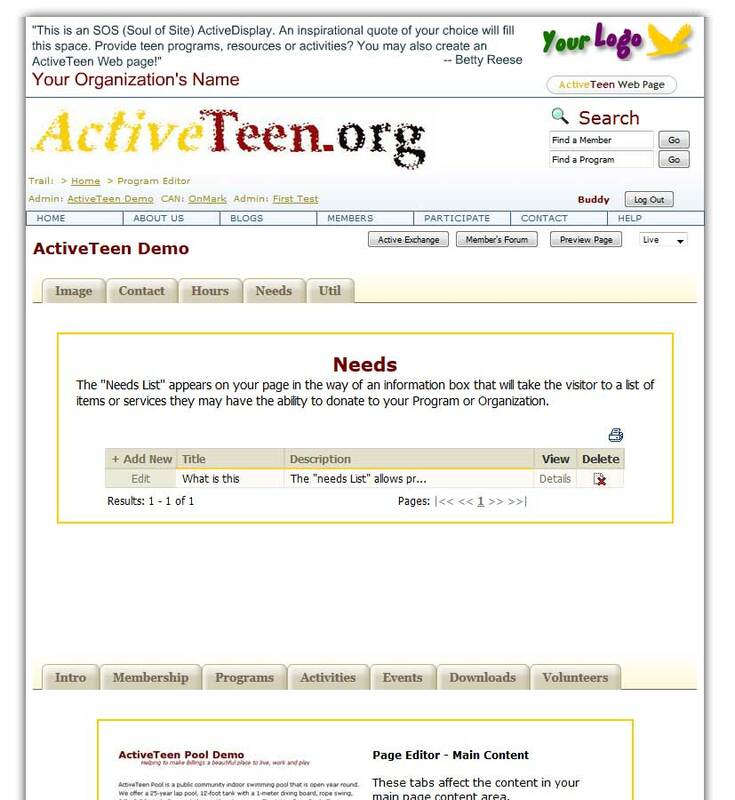 Pages may be viewed by organization staff at any time, but will only go "live" when the organization decides its' pages are ready. 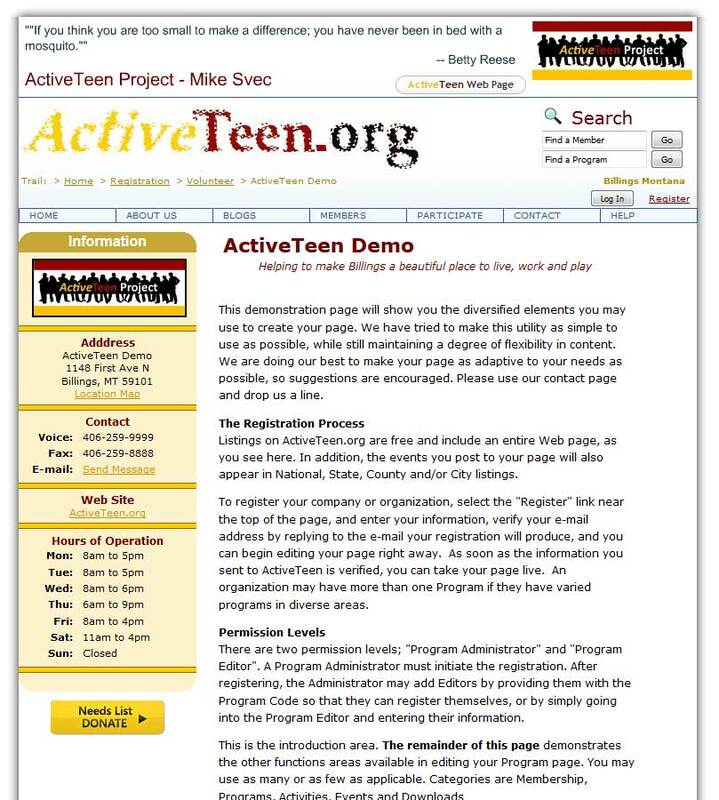 If you would like to see, first hand, how this process functions, please contact DataBoy and, through the courtesy of the folks at Active Teen, we will be happy to show you the ropes. 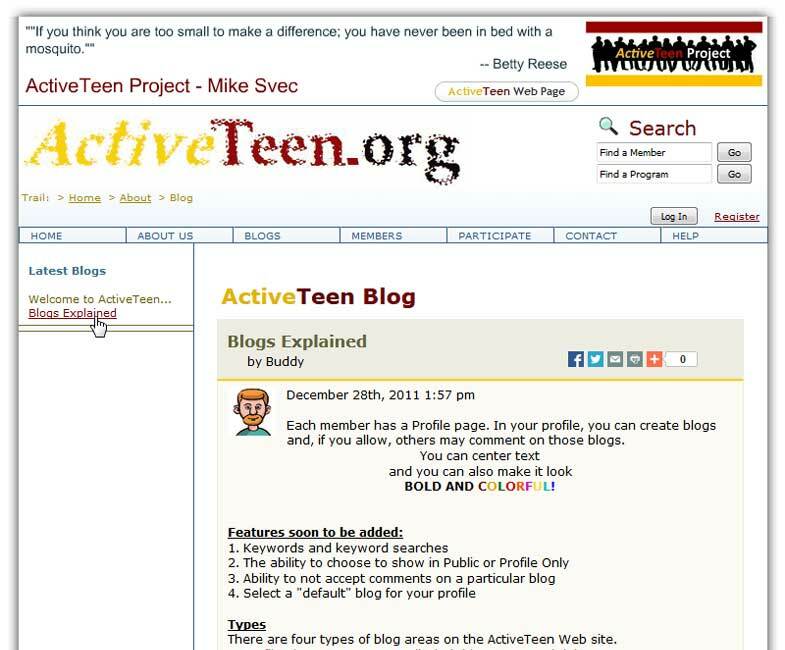 Social networking features, such as personal profiles and blogs help to keep this site alive and humming. 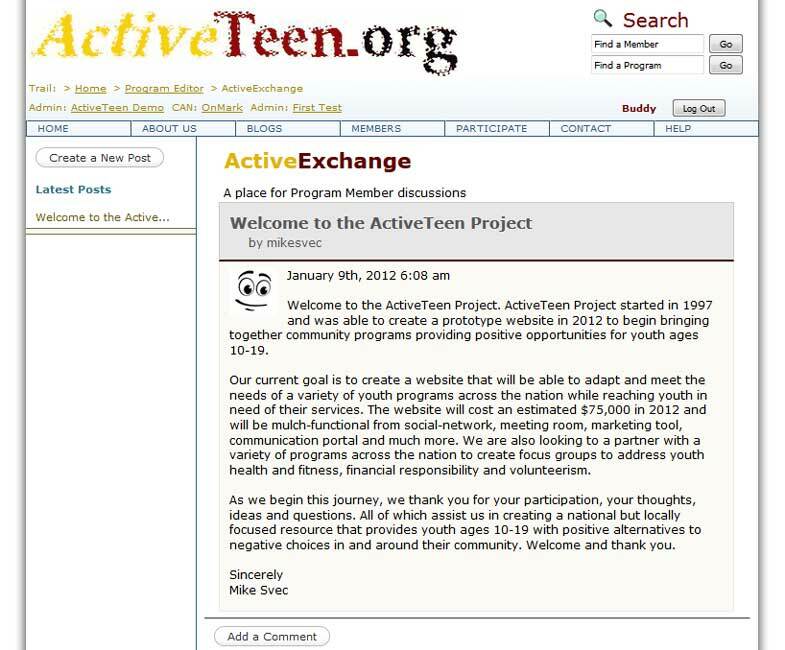 A forum is also included, allowing parents, organizations and Active Teen staff to communicate. 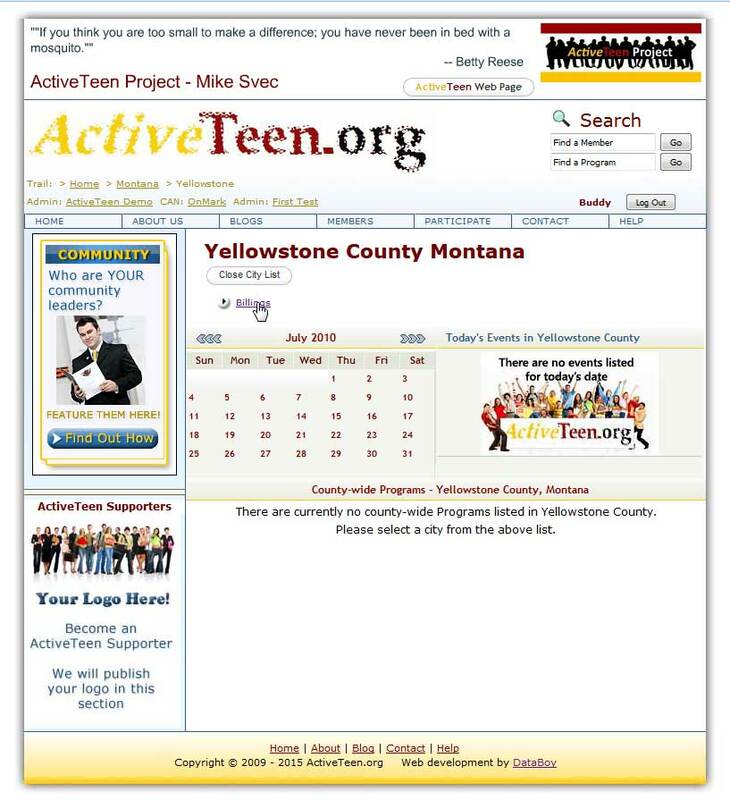 The map, displayed prominently on the Home page, will drill down to the state, county and city level. 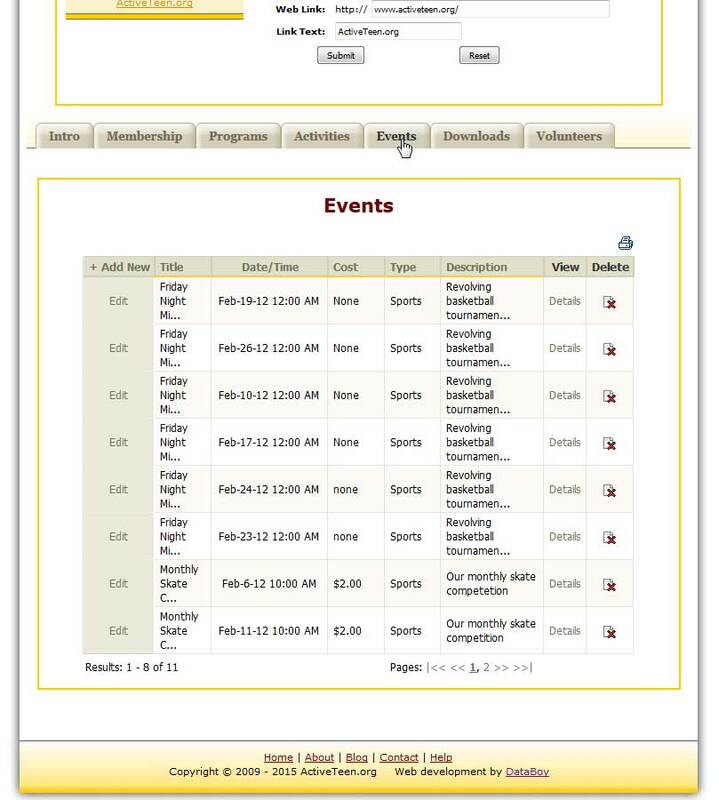 The map is highly automated and smart, detecting and highlighting states with active content. 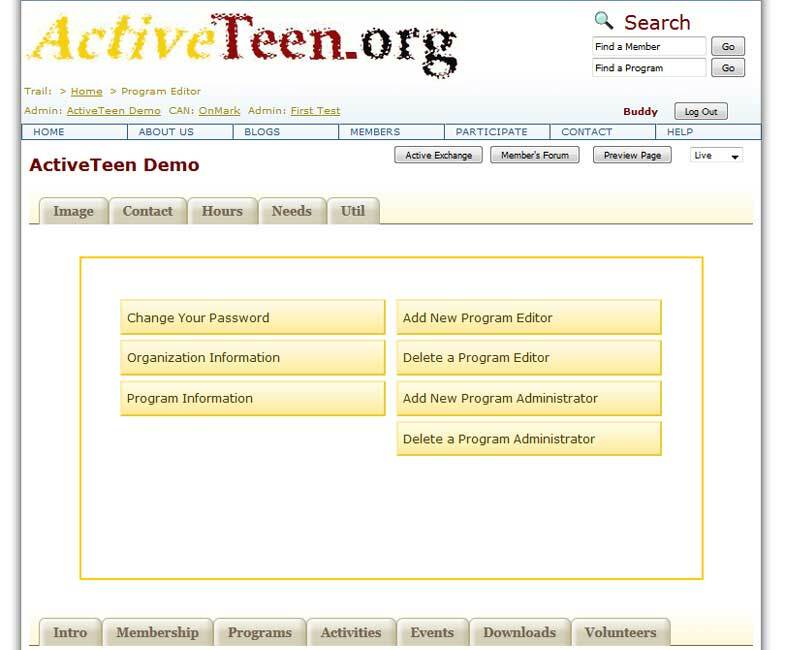 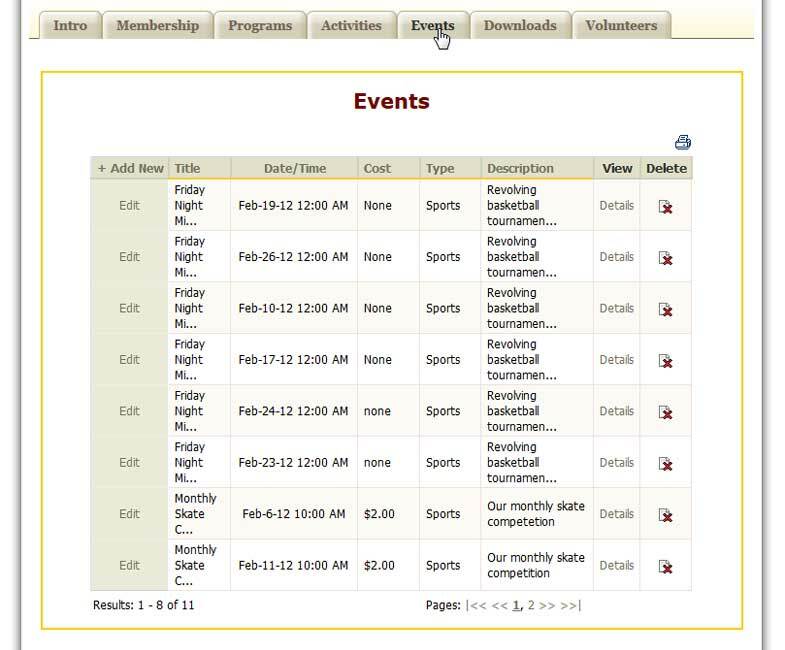 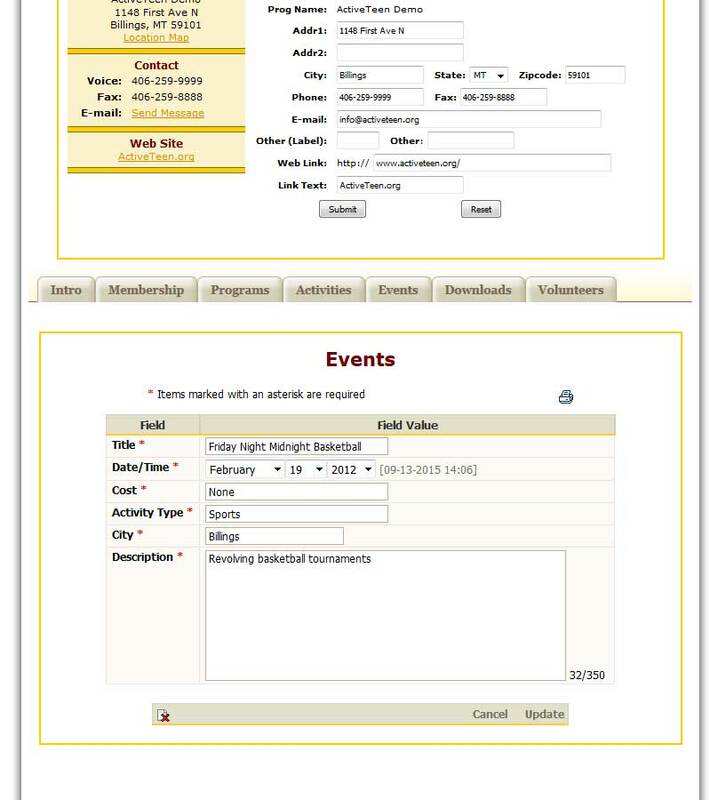 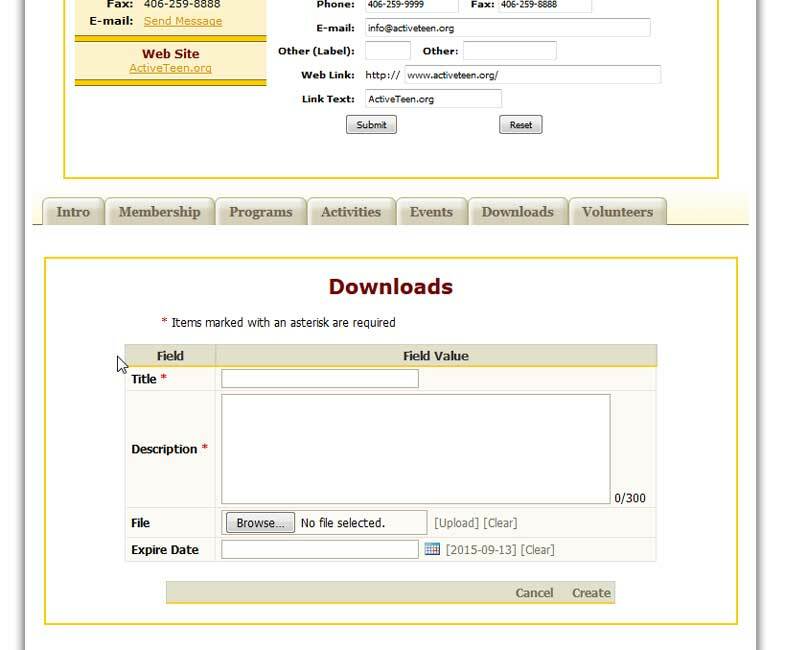 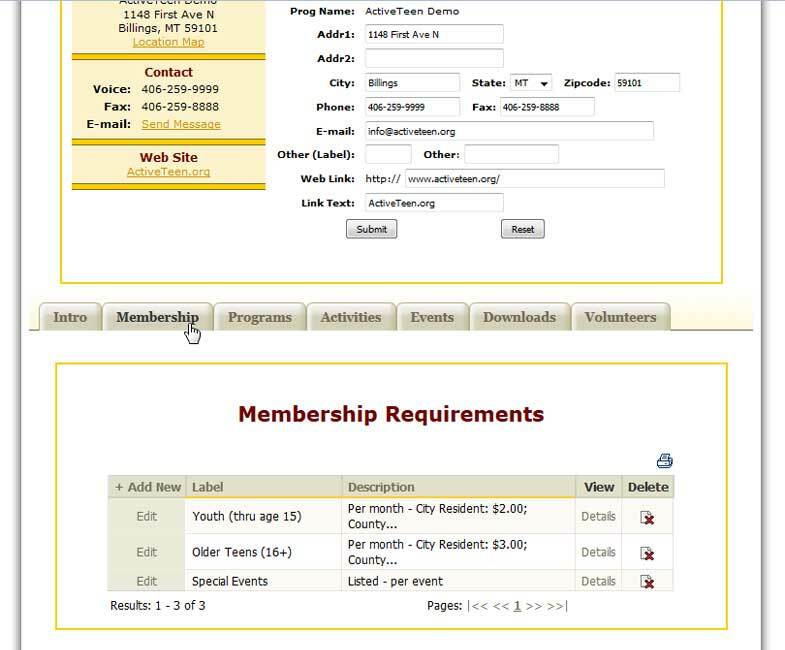 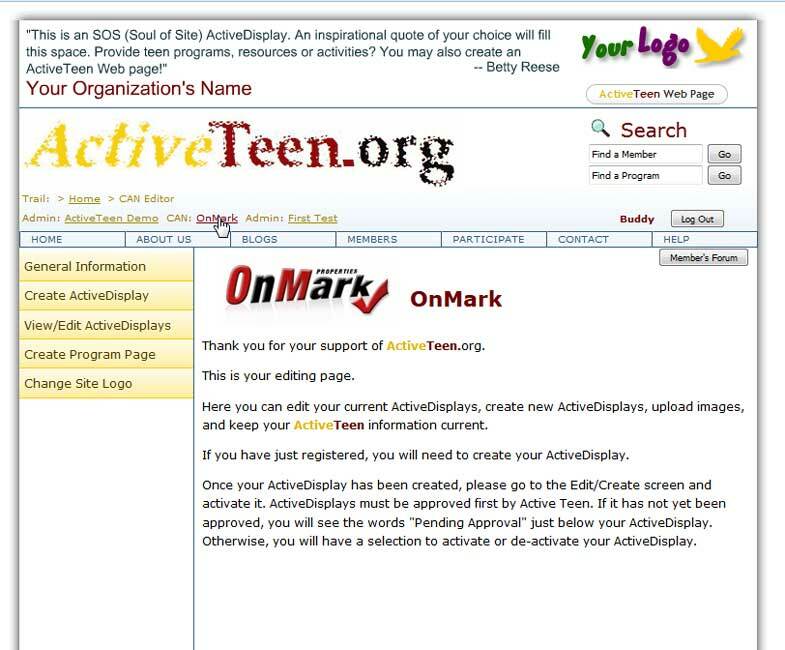 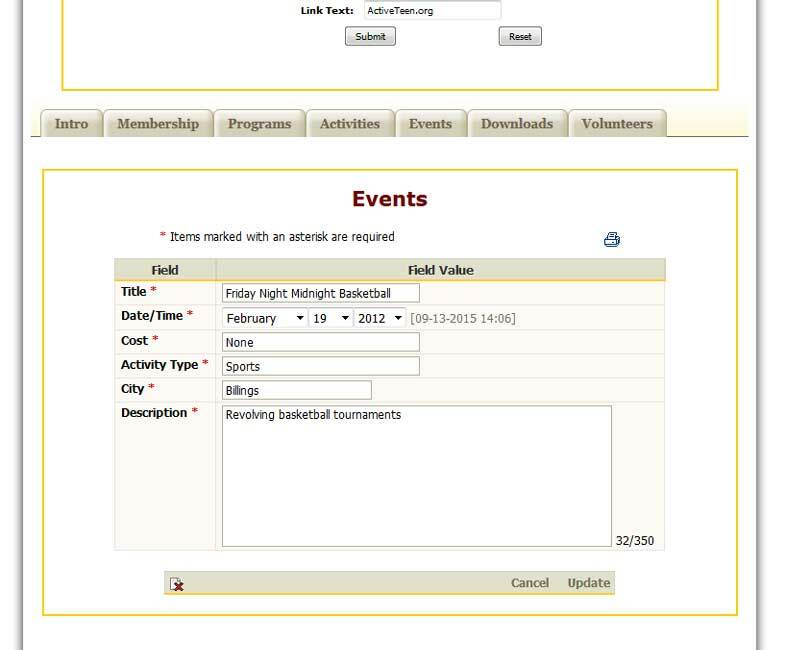 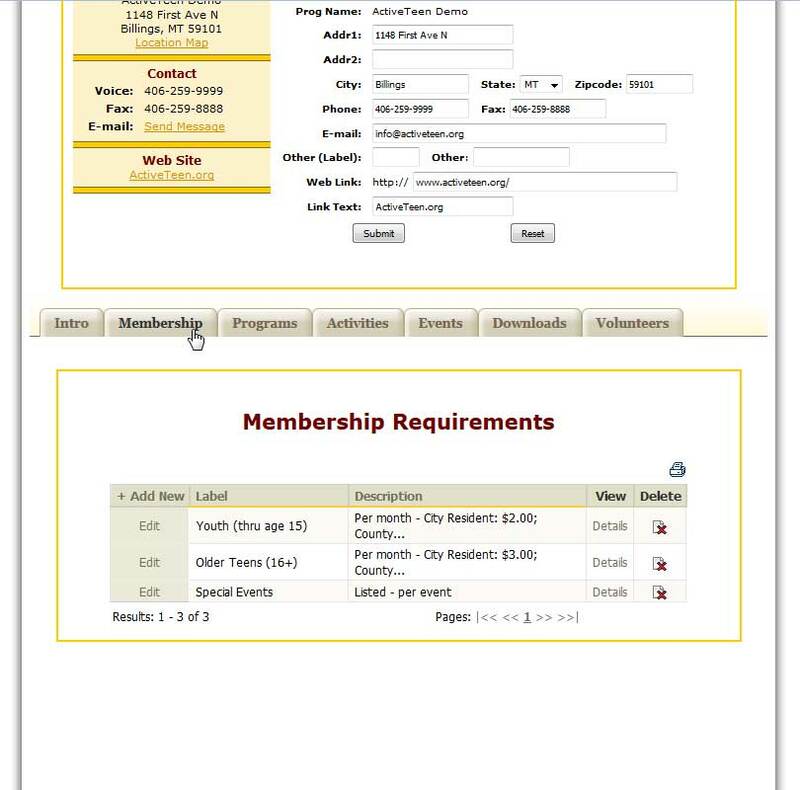 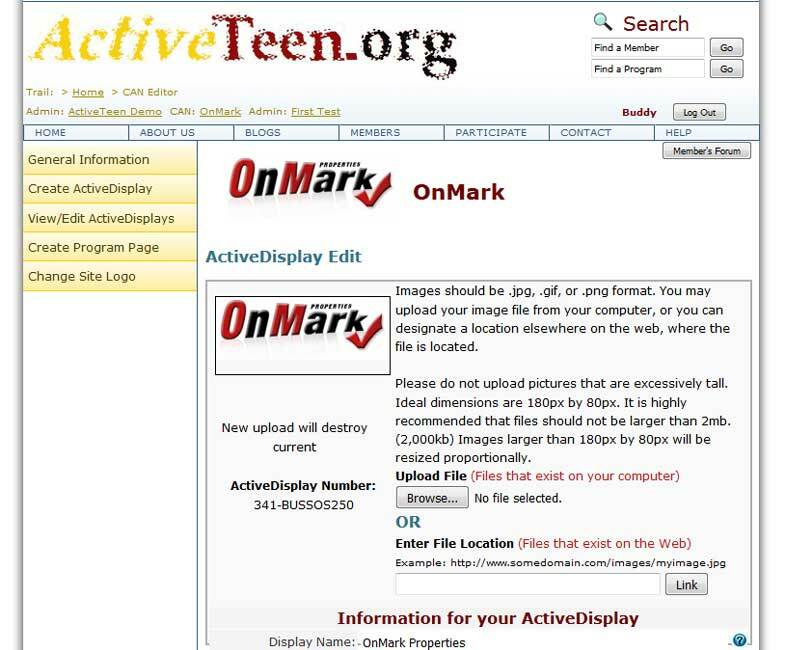 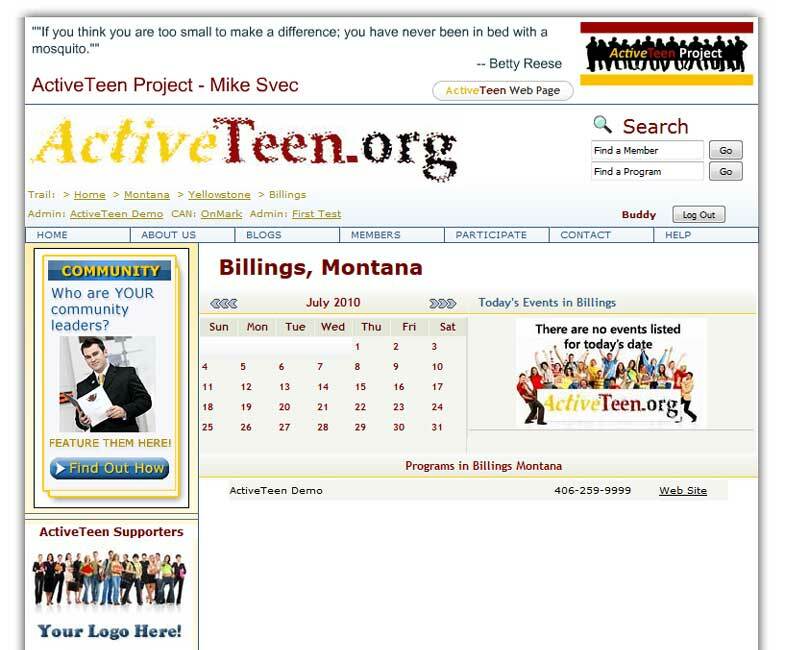 Active Teen staff have the ability to control and edit the site through the Admin Control Panel. 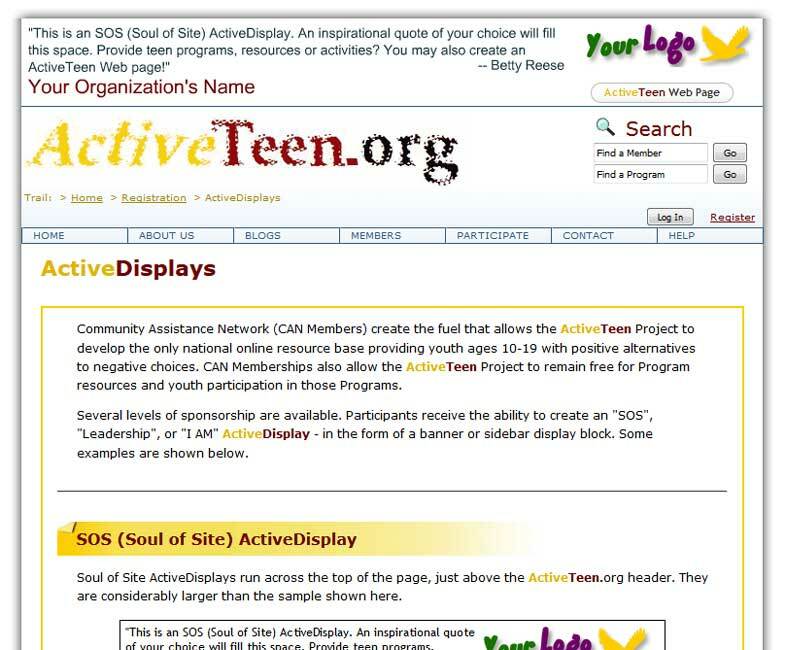 Here, they can oversee activity on the site, edit specific site pages and otherwise maintain the Web site. 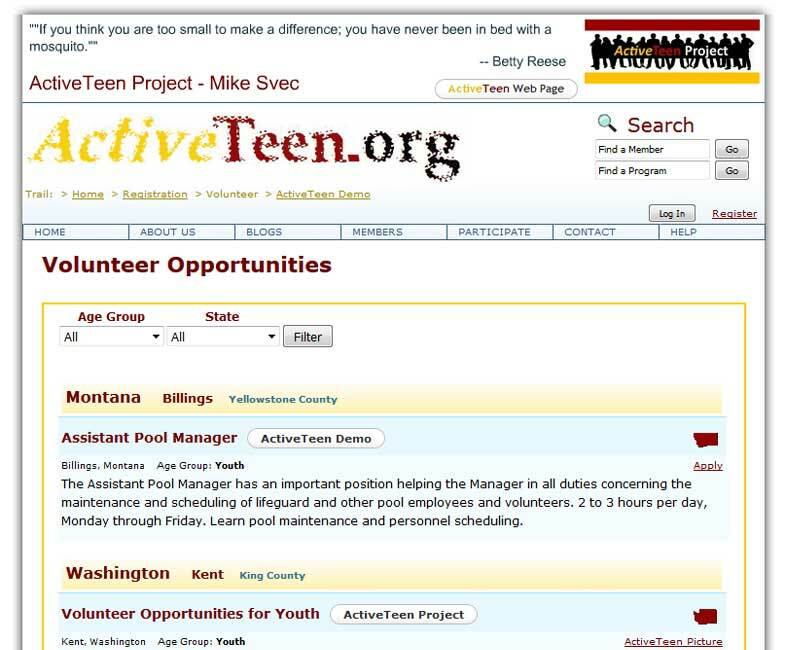 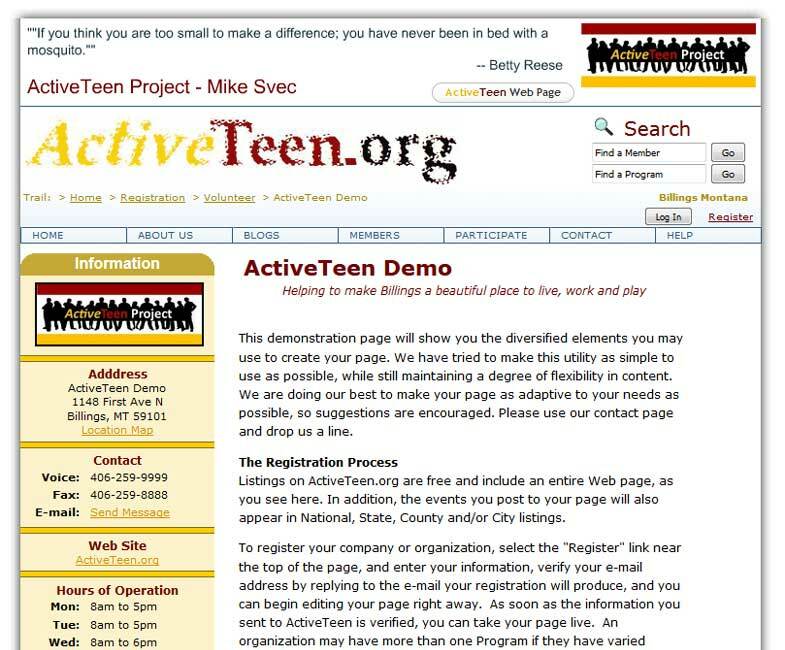 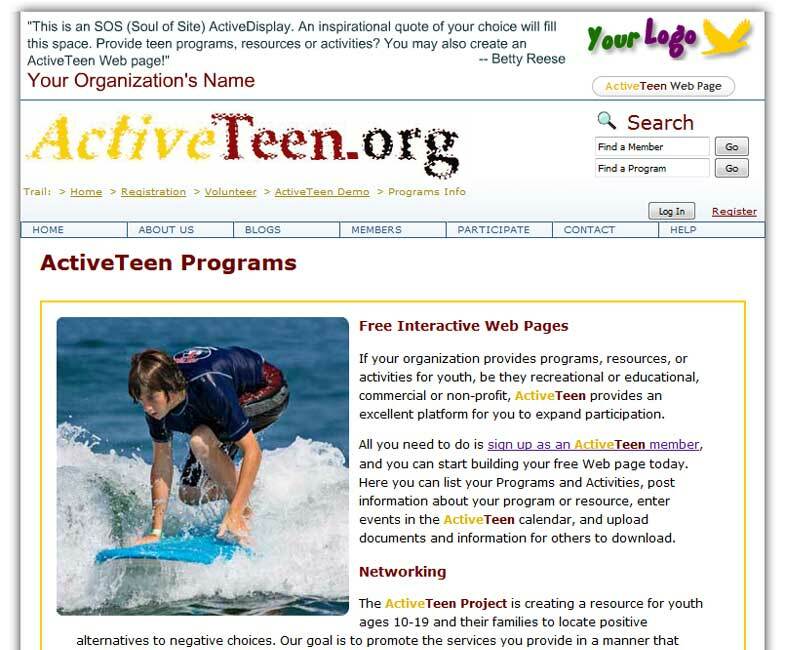 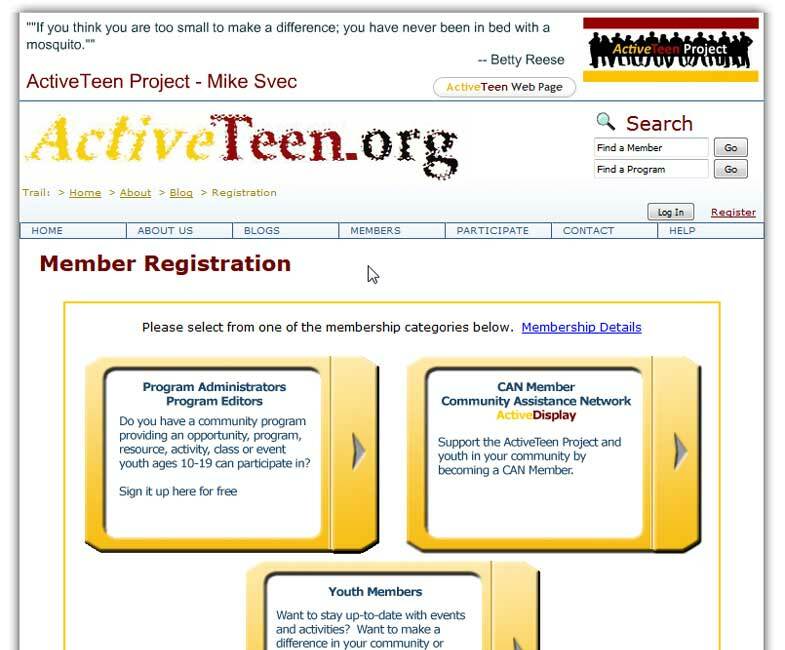 ActiveTeen.org was written in PHP, using a MySQL database. 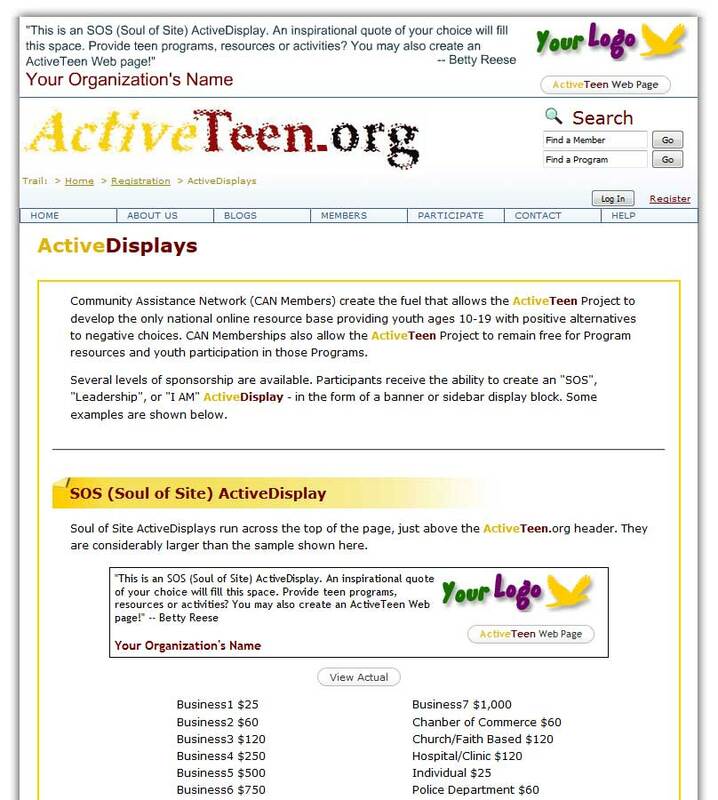 Interactive map was developed using Adobe Flash.